The insert for printing is made from thick white paper and is attached to metallic pink cover. 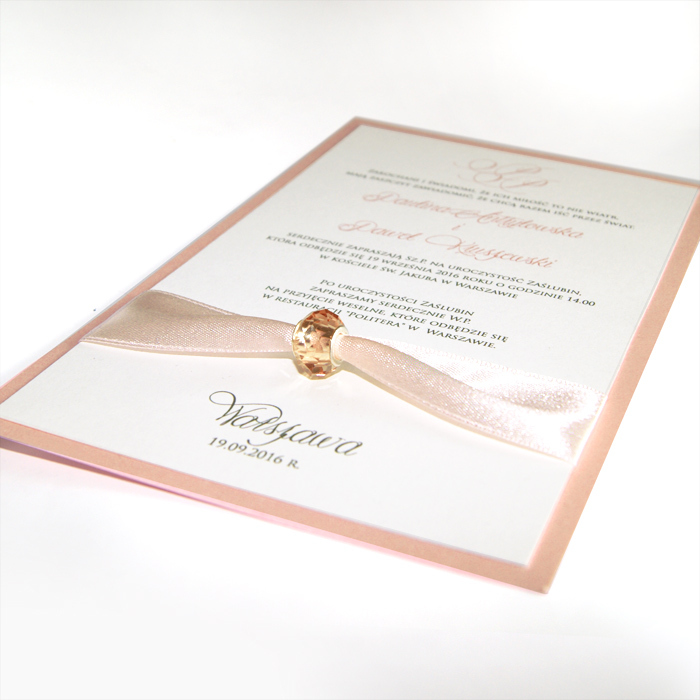 The invitation is decorated with a pink satin ribbon. An invitation made with great care and attention to detail. A precise print, careful production, and high quality paper.